Malek is the founder of BFM89.9, Malaysia's only business radio station. BFM 89.9 is a popular radio station among working professionals in Malaysia. 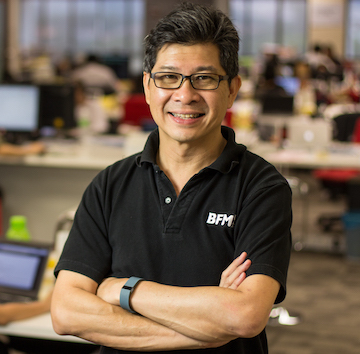 BFM 89.9 is Malek's latest venture in a career theme of bringing new products to market, which included stints at Yahoo, JobStreet Corporation, Maxis, The Boston Consulting Group and law firm Allen & Overy. Malek sits on the Asia-Pacific advisory board of Harvard Business School, where he earned his MBA. He is also a law graduate of Bristol University.